In early 2014, the MakeSense project came to Feedback Labs with a hypothesis: if air quality information was made available to citizens in the Amazon basin via environmental sensors, feedback loops would strengthen and this reliable data could catalyze citizen action to demand government responsiveness around environmental and air quality targets. 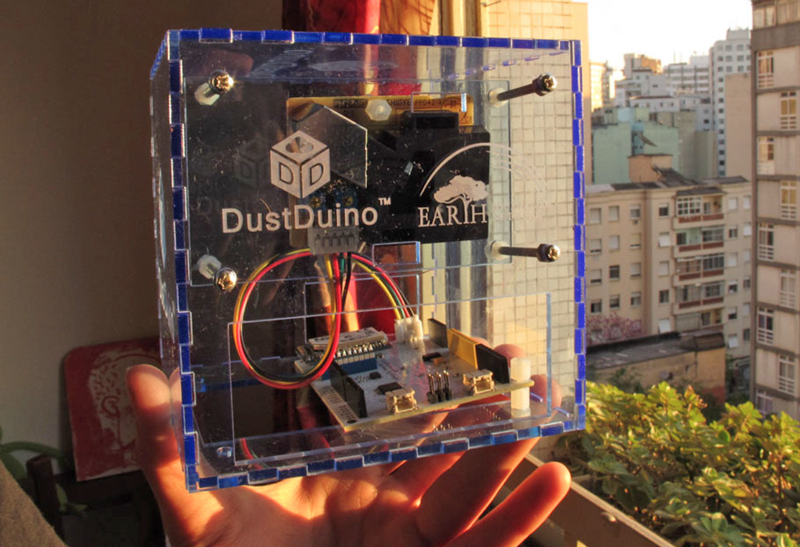 With support from the Hewlett Foundation and GlobalGiving, the MakeSense project received a grant from the Feedback Labs Collaboration Fund in May 2014 to test this hypothesis on air quality through low-cost dust sensors, called DustDuinos. As work on the project evolved, the question became: could environmental feedback data simultaneously empower citizen voice and contribute to environmental sustainability? MakeSense utilized a variety of platforms – technology, journalism, and frontline implementation – to connect multiple Feedback Labs members throughout the process. These organizations included GroundTruth Initiative, FrontlineSMS, SIMLab, Internews, and InfoAmazonia. As these groups interrogated both the fundamental question they were trying to answer, as well as the mechanisms (both technological and people-based) that they would employ, they used feedback from the community, from developers, from engineers, and from each other to iterate towards a project design and set of goals that maximized the chance of learning something interesting. This is a prime example of what we aim to do at Feedback Labs. The final project design (which you can read about here) aimed to successfully close the loop between citizens and decision makers in government and other institutions. By focusing on closing the loop, DustDuino generated valuable lessons learned. Their report, MakeSense: DustDuino, is a must read for anyone contributing to a multipartner innovation, and especially funders of innovation initiatives. MakeSense honestly projects the challenges they faced from the technical side of the project through to its implementation. This report focuses on the lessons learned when combining cutting edge technology with multiple forms of media and diverse implementation teams. It gives you the inside perspective of what it really takes to go from a minimal viable product through the necessary iterations before it is ready for full marketing. Feedback Labs is grateful to the MakeSense project for summarizing their lessons learned in innovation and experimentation in their detailed report. The Collaboration Fund supports organizations within and outside Feedback Labs to experiment with and build innovative tools and approaches to closing the feedback loop. Two key requirements to receiving support from the Collaboration Fund is a commitment to partnering with an least one other organization in developing and implementing a project, as well as structured sharing of learnings with the wider Feedback Labs community. You can read more about this year’s winners here.